When you think of Purdon Conservation Area your first thought is well, orchids. While there is no denying the awesome beauty of the thousands of Showy Lady-slipper Orchids that inhabit the Lanark Highland Fen, there is a lot more to the site. Mississippi Valley Conservation and the Mississippi Valley Conservation Foundation recently officially opened the Ted Mosquin Highland Trail, a stunning new trail that meanders through the fen, marsh, swamp and into the highland deciduous forest beyond. The trail is the culmination of several years of work, and was named in recognition of Ted Mosquin’s tireless efforts, and devotion to the orchids at the Purdon Conservation Area and his role in its ongoing development. A large variety of bird species call the site home. In fact some 37 different species were recently spotted on site. A dozen species of warblers visit during their spring migration. The Mississippi Valley Conservation Foundation installed birdhouses this past winter for over ten species of cavity nesting birds in locations well off the trail, in an effort to recreate nesting habitat similar to that which was present in the old growth forests before much of Lanark County was developed for farming. The boxes are being monitored to determine nesting success. The flora and fauna on the trail include a wide variety of wildflowers, trees and shrubs. Plans for the trail to be a self-guided route are progressing and interpretive signage has been installed along the trail to point out species of interest. Some of the more common species include Hepatica, White and Red Trillium, Bellwort, Mitreworts, Blue Cohosh, Clubmoss, violets, sedges, Helleborne Orchid and many more. The trail is roughly a 45-minute walk at a leisurely pace. To truly appreciate all the trail has to offer, allow yourself a couple of hours and pack a picnic lunch to enjoy at the gazebo overlooking Purdon Lake, located off the short trail at the upper parking lot entrance. For more information on the site please visit the Purdon page of the Mississippi Valley Conservation website at www.mvc.on.ca. 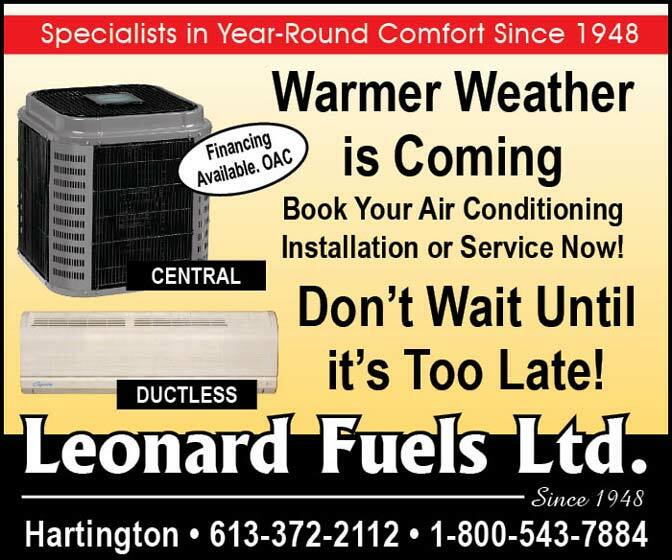 Or call 613-259-2421.